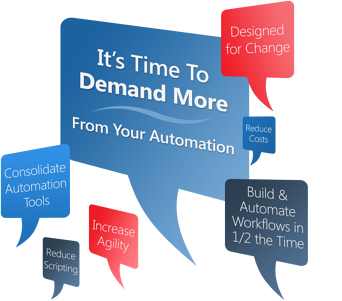 It's Time To Demand More From Your IT Automation! Today's complex business demands are driving more pressure on IT to deliver more services at a faster rate. While legacy scheduling systems have worked in the past, they are not designed to face the increasing amount of technologies and applications required by the modern business. If you are using a legacy scheduler you may be experiencing a number of challenges such as exponential growth in licensing and support costs, heavy reliance on scripting and senior level resources, and lack of pre-build integrations. An automated migration addresses these concerns as it lowers risk, significantly improves accuracy, and provides a proven and reliable way to migrate your existing processes to your new solution like ActiveBatch, enabling a faster time to deployment and faster time to ROI. The ActiveBatch Migration Tool for CA Autosys exports existing JIL files, parses and converts them into XML files for importing into ActiveBatch as ActiveBatch Objects. All Autosys objects associated with these jobs, including date/time schedules, event triggers, etc., are automatically converted and uploaded into ActiveBatch as ActiveBatch Objects. The ActiveBatch Migration Tool for CA Workload Manager takes definition files and coverts them into XML files to be uploaded into ActiveBatch as ActiveBatch Objects. The ActiveBatch Migration Tool for Tidal Workload Automation extracts Tidal Jobs directly from the Tidal database and converts them into an XML format for uploading into ActiveBatch. Tidal objects, such as Groups, date/time schedules, event triggers and job variables, are also converted and imported into ActiveBatch as ActiveBatch Objects. The ActiveBatch Migration Tool for IBM Tivoli leverages Tivoli’s composer utility program to output Tivoli files, parse those files and then convert them into XML format for uploading into ActiveBatch. All Tivoli objects associated with these jobs, such as date/time schedules and event triggers, are converted and imported into ActiveBatch as ActiveBatch Objects. 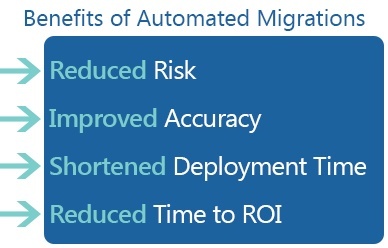 Talk to us about the benefits of automated migrations!